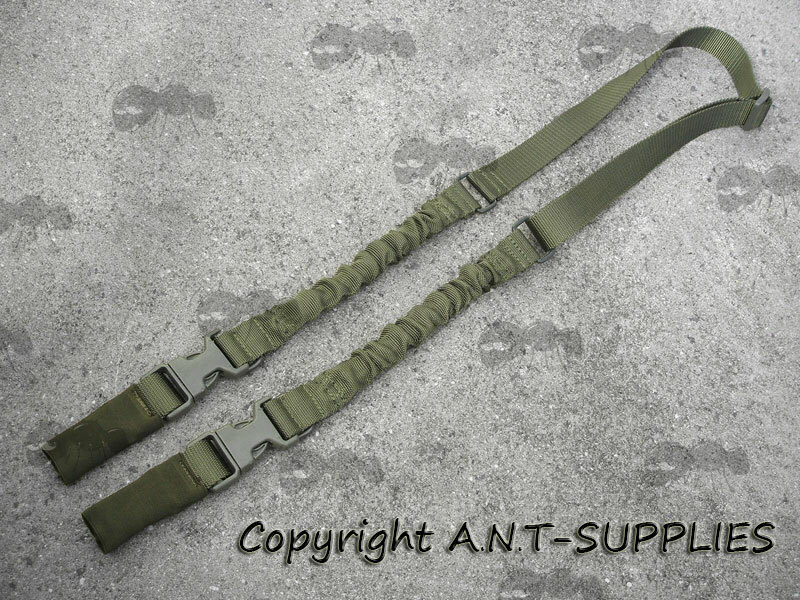 2 point fitting slings with bungee cord. 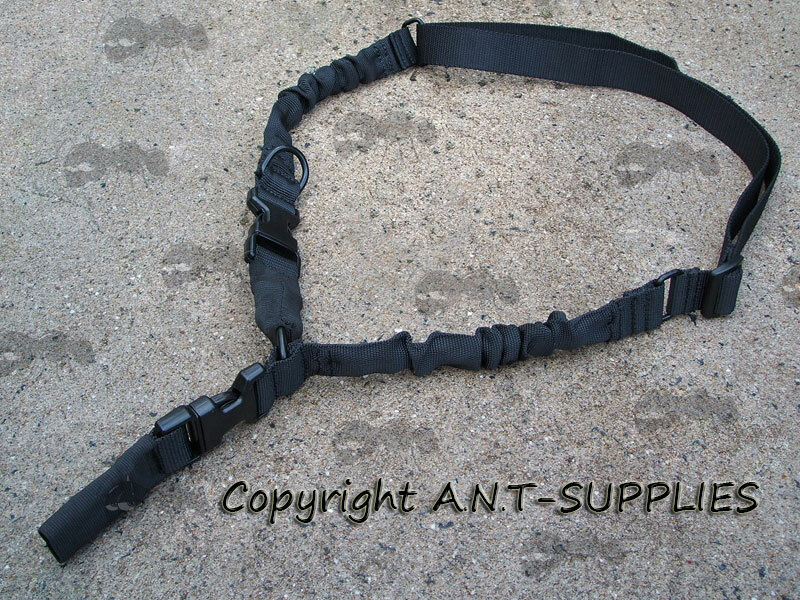 Two point bungee sling with large metal D-rings that allow for quick conversion to a one point sling. 1.25 inch / 30mm wide strap. Adjusts from 52 to 71 inches long (1320mm to 1800mm). 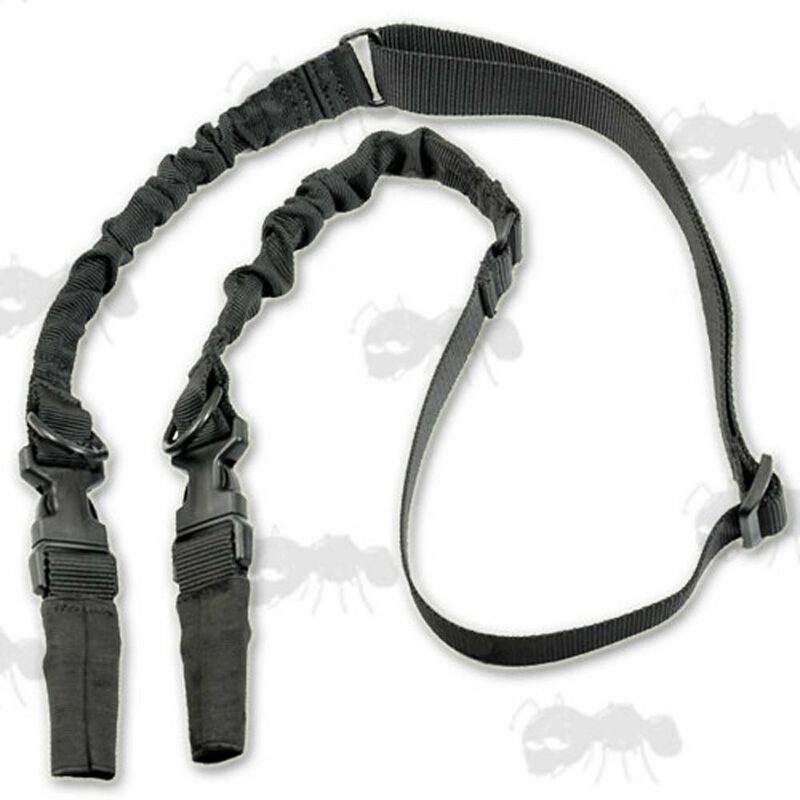 Soft, high-tensile strength nylon webbing with ABS plastic side-release buckles, between the heavy-duty HK snap hooks that are covered with elastic. 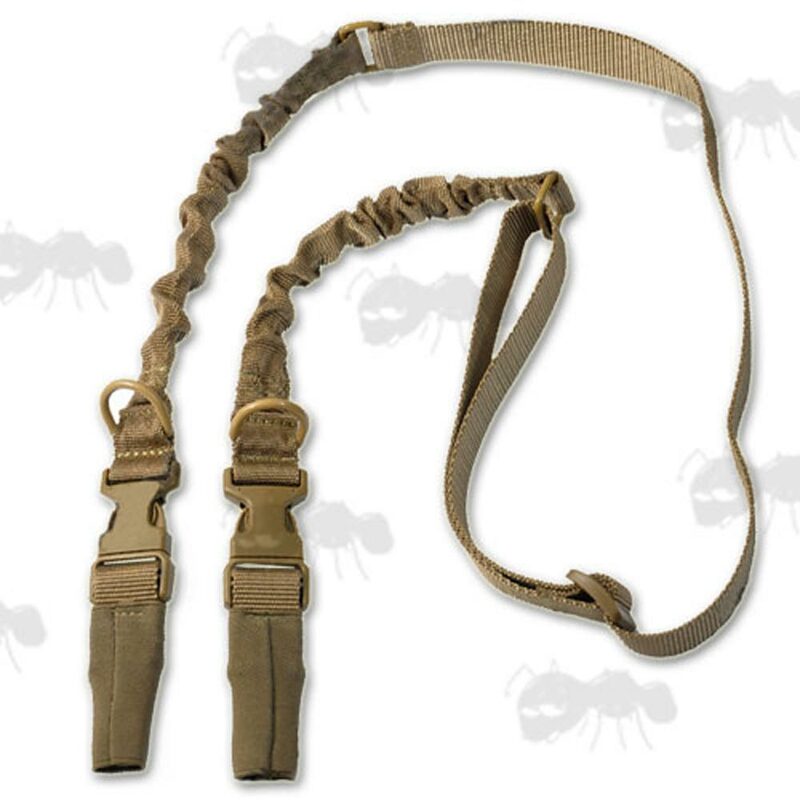 With the multiple release points you can detach either your weapon or the sling instantly. 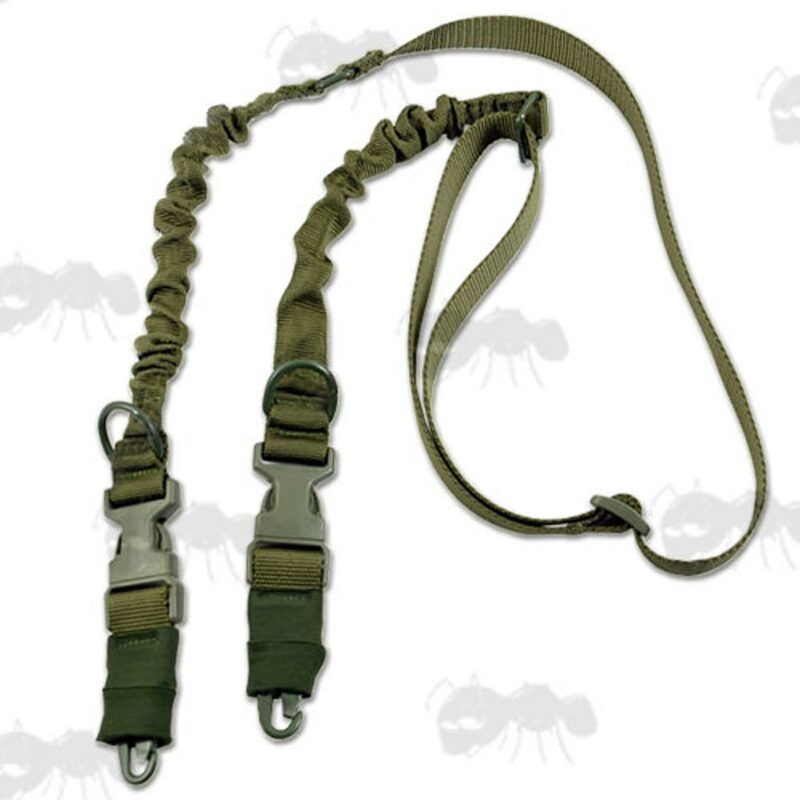 A similar One point bungee sling is also available.